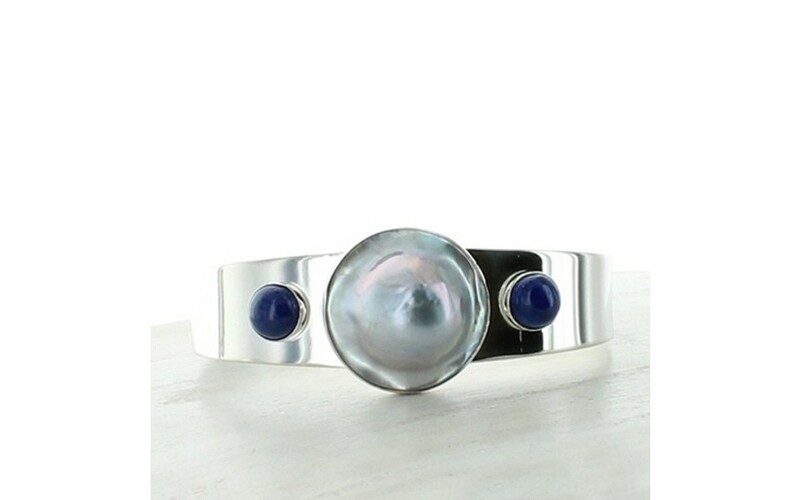 A smooth sterling silver cuff is topped with a bezel set mabe pearl, a natural pearl still attached to its base. The pearl is silver-grey and exhibits its characteristic pearlescence. 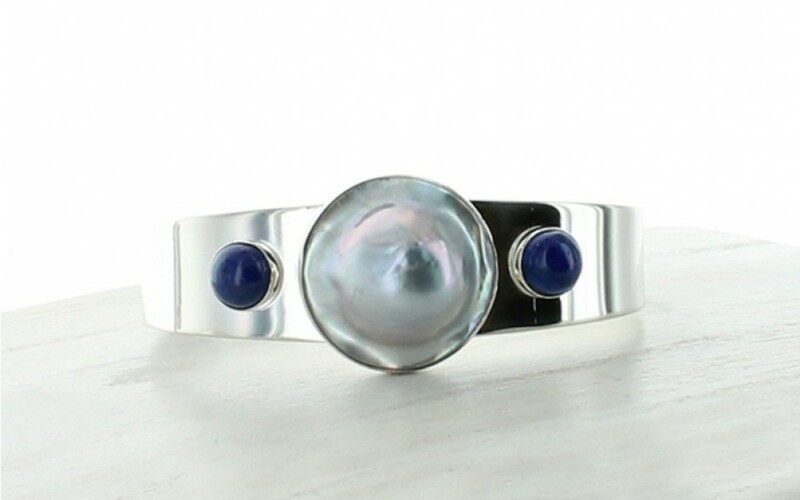 Accenting each side of the setting are 2 lapis cabs, also bezel set in sterling. 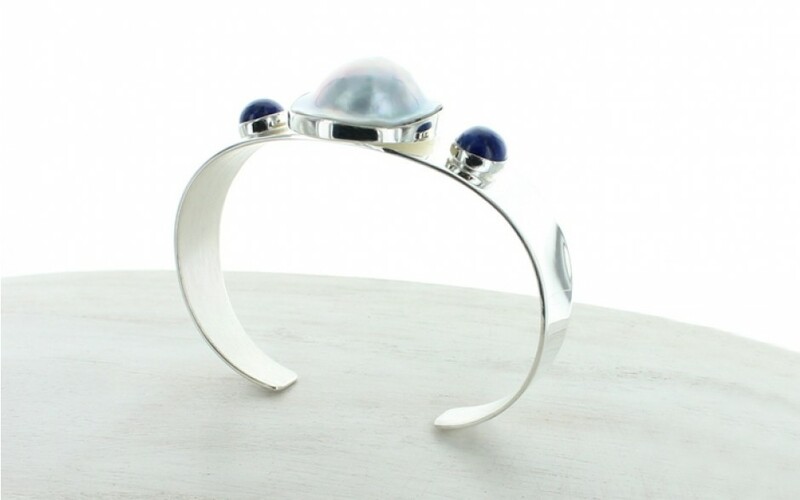 The pearl measures 23mm and each lapis round is 8mm. The cuff is 6 1/2" long by 15/16" wide. The pearl was harvested in China and the lapis was mined in Afghanistan.